In our «Hygiene» category, you will find disinfectants, medical protective wear, cleaning and care products, various paper products, such as medical crepe, as well as a large selection of massage accessories. 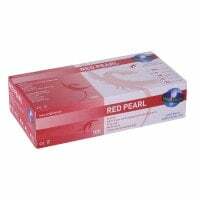 Browse our wide range of high-quality, hygiene products for surgeries and hospitals at extremely reasonable prices. 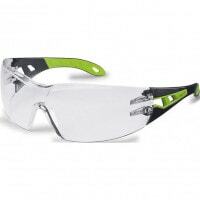 Whether you require examination gloves, surgical gowns, safety glasses or surgical masks, you can buy your personal protective wear at affordable prices from Praxisdienst. 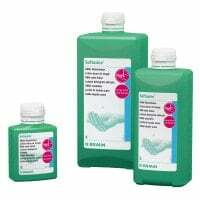 Here, you will find a wide selection of disinfectants for the skin, hands, surfaces, instruments and floors; available in different package sizes. Discover our wide range of cleaning and care products for various skin types and a range of different fields of work. High-quality paper products for general practices and hospitals - from exam table paper and paper towels to patient underpads. Discover our wide range of high-quality massage oils, oil baths and rubs from CosiMed. Ideal for professional use. Hygienic hand disinfection is one of the most important methods for preventing infectious transfers throughout the daily professional work of doctors and other healthcare employees. However, only a thorough disinfection can safely prevent germ transfer. In this video, you will learn the proper procedures for hygienic, hand disinfection. Specially designed for those with latex allergies, we offer a comprehensive assortment of latex-free examination gloves for daily use within surgeries, practices and hospitals. All of our exam gloves provide a great fit and a high level of comfort. In the «Hygiene» category, we offer you high-quality hygiene products for professional use in the hospital, surgery and other healthcare facilities. In order to maintain the necessary hygiene standards, a large number of products is required, as each cleaning and disinfection step requires special preparations based on the required active spectrum and differing material compatibility. Keeping a hygiene plan contributes significantly to the prevention of cross-contamination and infectious transfers within healthcare facilities. This would not only include the basic hygiene measures, such as surface and instrument disinfection, but also personal hygiene, which especially refers to regular hand sanitation and wearing medical protective wear. In the "Hygiene" category, you will find all hygiene products that you could possibly need for keeping your practice sanitary, including a large selection of disinfectants for your skin and hands. In order to keep your skin out of direct contact with germas, there is specially designed, medical protective clothing for your hands, head, face and body. In the «Protective Clothing» category, we have put together a comprehensive selection of protective and surgical clothing. 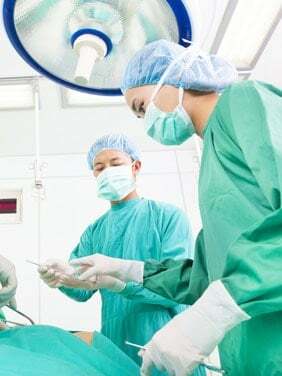 Whether surgical masks, surgical caps, disposable aprons, protective glasses or surgical clogs - here, you will find the proper protective clothing to meet your daily needs for work in the practice, operating theatre or hospital. Naturally, we also offer you an extensive assortment of examination gloves and surgical gloves. Additional hygiene products and articles, surrounding the theme of practice hygiene, can be found in the category «Hygiene». In our «Disinfectants» category, you will find a comprehensive assortment of professional disinfectants for use in the practice, surgery, hospitals and other healthcare facilities. We provide you with a large range of affordable surface disinfectants from name brand manufacturers, like Bode, schülke, or B.Braun, for disinfecting surfaces, floors and medical products. Of course, you will also find skin and hand sanitisers, as well as various other products for cleaning and disinfecting surgical instruments. Our assortiment is rounded out through diverse laundry detergents and a wide array of disinfection accessories. With Praxisdienst, you will find affordable, professional hygiene products for surgeries and hospitals. In order to keep the skin healthy, despite frequent washing, it is important to use the proper cleaning and care products. Therefore, Praxisdienst offers you select wash lotions and skin care products for thorough cleaning and enriching moisturising of normal and damaged skin. In this category, you will also find ultrasound cleaning devices for thoroughly cleaning your surgical instruments. In order to achieve perfect practice hygiene, many medical disciplines prefer to use disposable products. In this category, we offer you various hygiene products made from paper or cellulose, respectively; including paper towels, as well as couch and table paper with various specifications, and all at affordable prices. In the wellness and massage area, you will find everything you may require for massages, rubs, medical baths and moor therapies. Our wide assortment of massage oils and oil baths leaves nothing to be desired. The selection is rounded out by a range of massage woods, hot stones and other accessories.